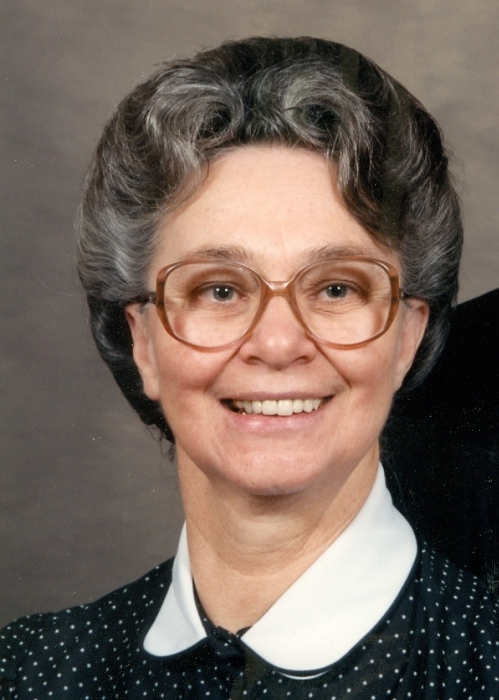 Council Grove - Evelyn L. Muncy, 85, of Council Grove, Kansas passed away March 28, 2019 at Diversicare of Council Grove. She was born April 28, 1933, the daughter of Samuel and Ethel (Cotner) Decker in Purcell, Oklahoma. She married Lee J. Muncy February 5, 1950 in Dinuba, CA. They had two children, Duane and Mike. Evelyn was a working wife most of her married life; in CA, she was employed in various agriculture and domestic jobs, until later becoming employed in the camera department of the Visalia, California Josten Year Book plant. After moving to KS, she worked several years for Muncy’s Bakery in Council Grove. After retirement, she accompanied her husband Lee, who was a travelling minister, until her failing health made it prohibitive. She enjoyed sewing, camping and spending time with her family and extended church family. She attended Flint Hills Apostolic Church and maintained a strong faith in God to the end of her life. She was preceded in death by her parents, husband and 8 siblings. Evelyn is survived by her sons: Nathan Duane Muncy and wife Valorie and Michael Muncy and wife Linda, all of Council Grove; 4 grandchildren; 8 great-grandchildren; and numerous nieces and nephews. Funeral services will be held at 11:00am, Saturday, March 30, 2019, at Flint Hills Apostolic Church. Interment will follow at Sunny Slope Cemetery. Memorial contributions may be made to Flint Hills Apostolic Church and may be sent in care of Zeiner Funeral Home, PO Box 273, Council Grove, KS 66846.